A full scale mockup of China’s lunar rover is pictured ahead of its Chinese lander. The mission is set for launch in 2013. Credit: PLUTOGNO. 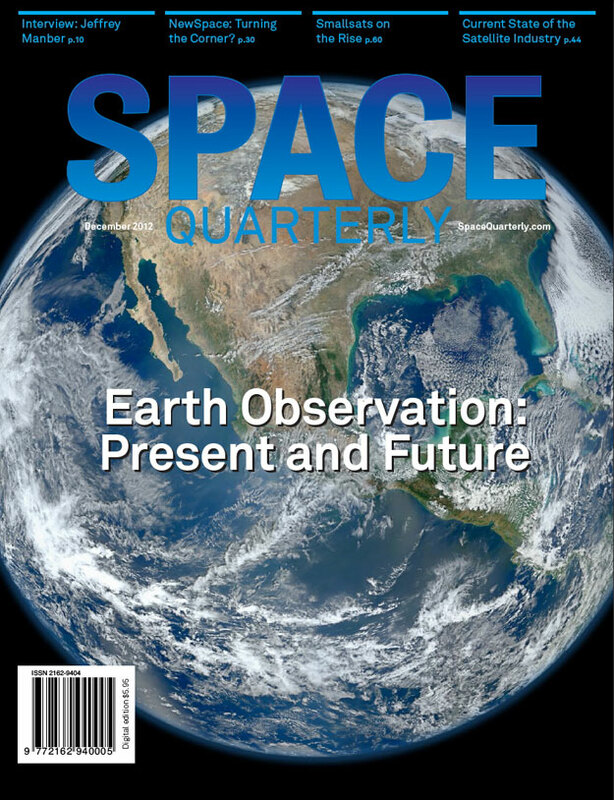 The following article is a free sample from the current issue of Space Quarterly Magazine. It is our hope that if you enjoy this article you will consider subscribing to the magazine. A surging space race between India and China is underway amidst nearly a dozen other Asian nations, like India, trying to avoid a loss of prestige or military security to China's aggressive space program. "There is definitely a space race between India and China for top regional prestige and influence," says James Clay Moltz, a professor in the U. S. Naval Postgraduate School's Dept. 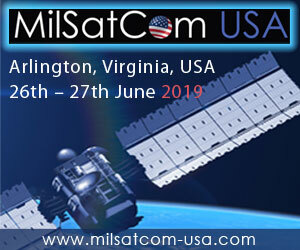 of National Security Affairs, Monterey, Calif.
"Evidence shows the two countries' are watching each other's activities in space very carefully and keeping score as to who is gaining and losing influence," Moltz told Space Quarterly. China with seemingly no limits on its space budget or engineering talent is sailing a steady course. It is advancing across all space disciplines with no outward regard to India's space program, except for one important factor--"that India may develop retaliatory capabilities in response to China's 2007 ASAT test," said Bharath Gopalaswamy, associate director of Arms Control, Disarmament and International Security at the University of Illinois at Champaign-Urbana. He is a noted PhD analyst on India's nuclear and military space directions. Even before China's ASAT test, the highly successful use of U. S. military space assets during the first Persian Gulf War "aroused some curiosity" within India's military services toward Indian development of its own military satellites, Gopalaswamy told Space Quarterly. 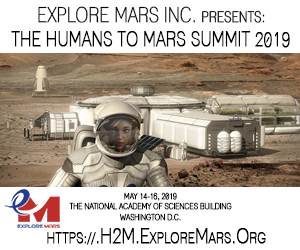 "With India what we have seen is a very significant change from a program that until recently was almost exclusively focused on space applications," said Moltz. "India has moved from mainly serving its population with remote sensing, telemedicine and transponders on fishing vessels, to one that has now adopted high prestige lunar and planetary science missions in addition to a fairly active military space program," he said. There are also broader global power implications with the situation as India is more open to space cooperation with the U. S. and Russia to counter China. Another perspective is that space rivalries are also growing across traditional Asian political lines, especially between Japan and China, South Korea and Japan and North Korea vs. South Korea. Unlike the U.S. - Soviet race to the Moon, Asia's space rivalries are "more a long-duration cross-country race with many runners and different objectives," says Moltz in his recent book Asia's Space Race. "China's rise in space also has had the influence of pushing very unlikely partners and former adversaries like Japan and Vietnam together into new strategic alliances,' Moltz said in an interview. "One of the most fascinating examples is that Japan is providing Vietnam with more than $US 1 billion in space development assistance for the Vietnamese to build a National Space Center to develop and operate two radar imaging satellites," says Moltz. "These Vietnamese spacecraft will not only overfly Vietnam, but also China, gathering information that Vietnam will likely share with Japan." While India and fellow west leaning nations seek to counter China's space power, China is using space to bring as many developing countries as it can under its sphere of influence. To do that it formed the Asia Pacific Space Cooperation Organization (APSCO). So far Bangladesh, Indonesia, Iran, Pakistan, Mongolia, Peru and Thailand are part of the group. There is currently, however, virtually no chance for space cooperation between India and China. China's growing military space prowess and India's perceived loss of prestige to China explains why India has suddenly decided to "very significantly expand its space budget and the range of its space activities," says Moltz. The key tipping points that sparked major changes in India's space program are China's aggressive military space development and growing ties with Pakistan, development of a human space flight program, its successful 2007 test of an ASAT weapon, China's successful 2007-2010 Chang'e-1 and 2 lunar orbit missions and development of a 2013 lunar rover. Major budget increase: In the last year India has increased it annual space budget by 38% for both civilian and military programs "in an all out effort to catch up with China," said Moltz. "This is a very large increase and indicates that India realizes that it has to step up its game if it is to remain at all competitive with China," he said. Human space flight: In response to China manned space initiative, India is developing an Indian manned flight program with the launch of Indian astronauts planned by 2016-2018 using manned spacecraft and launch vehicles developed in India. Russian Cooperation: After the U.S. declined an Indian request for manned space technology because of technology transfer issues, India sought similar technology help from Russia, which has agreed to provide some manned spacecraft technology. India is also seeking and likely to get some help from Russia with imaging reconnaissance satellite ground system technology, said Gopalaswamy. 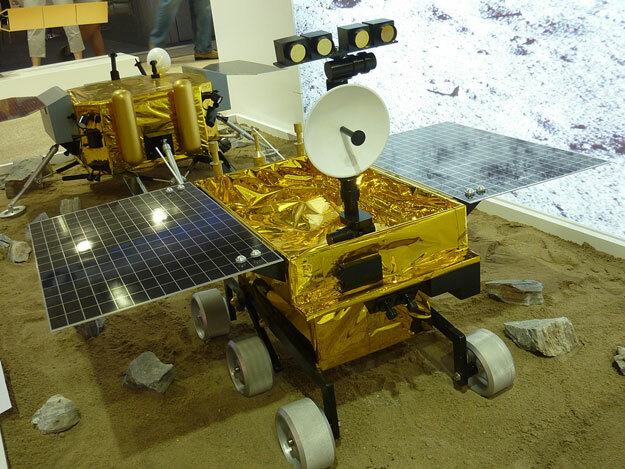 Dueling lunar rovers: An Indian lunar rover mission is under development with Russian help for launch to the Moon in 2014. India's about 200 lb. lunar rover will use a Russian built lander similar to, but smaller than, the twin ramp landers that carried the 1 ton Soviet Lunokhod 1 and 2 rovers to the Moon in the 1970s. If successful, the Indian launched mission will help counter Asian space leadership issues that will arise with China's lunar rover mission set for launch in 2013, if successful. In 2008 India launched its Chandrayaan-1 lunar orbiter mission with U.S. and European instruments to counter the prestige gained by China with its Chang'e 1 and 2 lunar orbiters. But India's prestige related ham-handed secrecy may have fouled the water with NASA and ESA for future missions. India kept secret a serious thermal problem then nearly doubled the spacecraft's lunar altitude without telling its partners, confusing data reduction. Mars exploration: India is developing a Mars orbiter for launch by 2018-2020 to focus on methane detection and to counter an expected Chinese Mars mission challenge. 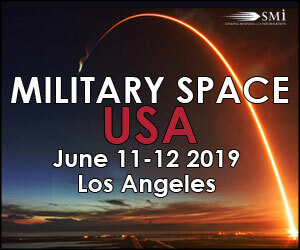 Military Space: India's Ministry of Defense has formed a small Integrated Space Cell staffed with a few Army, Navy and Air Force officers to help plan near term space priorities with ISRO and also plan "what the Indian military services hope will become a much larger Indian Military Space Command in coming years," Gopalaswamy told Space Quarterly. ISRO's military role: The Indian government has assigned the civilian Indian Space Research Organization (ISRO) to use its launch vehicles, personnel and facilities to provide capabilities for use by the Indian military, including an initial military spacecraft capability for each of the services. ISRO sought to remain in control of new Indian military spacecraft, but the government ruled they will instead fall under control of the military's Integrated Space Cell. Israeli Collaboration: In order to obtain a 1 meter day/night all weather imaging capability to watch over China and Pakistan, the Indians collaborated with Israel for an Israeli TecSar imaging radar satellite that India designated Risat-2 and launched in 2009. Israel provided the satellite in exchange for Indian launch of an identical Israeli Air Force TecSar that Israel could not launch into a suitable orbit with its own smaller launch vehicle. The arrangement is likely to continue. Indian Navigation System: In early 2013 India will begin the launch of its own seven navigation spacecraft under the Indian Regional Navigational Satellite System (IRNSS). The program will obviate the need for Indian forces to use the American GPS system. Anti-Satellite Weapons: The Indian government asserts that it is prepared to fire an ASAT test of its own, using existing Indian antiballistic missile systems to convince China that India will defend its own space assets in the face of China's 2007 test of its own medium altitude ASAT capability. Details emerging from China include evidence that top People's Liberation Army officers are writing in military circles about Chinese space security and other concerns should India decide to test its own ASAT . Also in a mid October, noted defense writer Bill Gertz reported in Washington Free Beacon.com , that intelligence reports say China is ready to test a new "Dong Ning (DN-2)" ASAT missile designed to attack U.S. GPS spacecraft in 12,000 mi. (19,312 km) orbits and a wide array of International military spacecraft in geosynchronous orbit more than 22,000 (35,405 km) mi. high. "The Indian response [to the 2007 test] has so far been measured and exploratory as far space security is concerned," said Gopalaswamy. But this report [of a higher altitude ASAT] and eventual test "will once again, reinforce and highlight Indian concerns and threat perceptions in space," he said. "India already feels the necessity to develop retaliatory capabilities, but not necessarily test them. So this [high altitude ASAT ] might not necessarily hasten or slow any Indian response, but rather serve as a validating point in India's course of fashioning technological and policy responses to China," Gopalaswamy told Space Quarterly. There remains an active debate in India about whether India should hurry with an ASAT test to counter China's and also demonstrate capability before any ASAT test ban. India wants to win its space race with China and has made it clear that it is not going to take a secondary role to China in military space capability. But India is also just beginning to feel the high budget costs and the policy, engineering and organizational challenges it must overcome to achieve that goal.